One of the side-effects of tracking our hybrid garage (our minimizing gas use post, first year, and recently posted second year) use has been to track the number of all electric miles that we’ve done since we picked up our vehicles. 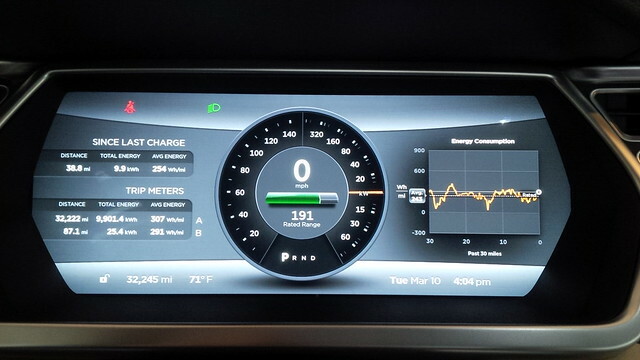 Which means that we deduct the original 2,220 miles on the Roadster when we picked it up CPO, we deduct the 14 miles that we had on the Active E, and the 22 miles that was on our Model S on our acquisition of each vehicle. That’s how we get to the 100,000 Total EV miles on our family vehicles. So at 3:29 PM Pacific Time on March 10, 2015, we hit 32,221 miles on the Model S which made our total for the family at 100,000 all electric miles. Additionally, it turned out that we hit that 100,000 EV miles target on day 1,111 of our ownership/lessor of our primary EVs. 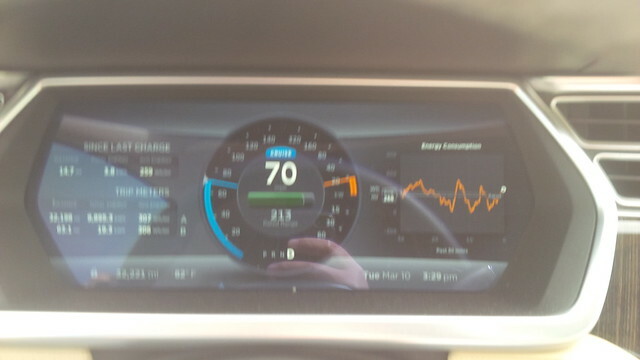 These totals mean that we averaged about 90 miles of electric driving per day for the past 1,111 days. That’s more than double the US average commute of 40 miles roundtrip. Additionally, 54,321 of those miles are on an EV that averages 80-100 miles of range in the Active E. So to those that say that EVs are for short distances only, need to check on the mileage that we did with our vehicles. Range Anxiety? Not around here. 9901.3 kWh consumed for the 32,245 Miles that I ended my commute to home today at a conservative 291 wH per mile for the day (still at 307 wH per mile since we picked up our Model S).